In this guide I'm providing the optimal way to increase your Power Level to 300, the maximum Power Level for Destiny 2. This guide is particularly important for players to avoid getting stuck at Power Level 265, and becoming the new "forever 265" society. Those who played the original Destiny game at launch will remember the pain of being stuck at Light Level 29. Back then, with the original VoG raid being the only activity to grant endgame gear, you were left at the mercy of the weekly reset and the RNG gods to progress further. With the release of Destiny 2, players also have the same telltale scenario to overcome. It is entirely possible to get stuck at Power Level 265 without ever hitting the top end of that scale. If you want to participate successfully in the Leviathan Raid then getting closer to level 300 is a pivotal challenge. Every guardian you create in Destiny 2 has an initial Character Level. This is the progression system that exists before you start using Power Level to determine your character's evolution. The maximum Character Level is 20 and successfully reaching 20 will unlock Power Level's that you can then progress even further. Reaching Level 20 is possible through the regular Story Missions and the vast number of patrol activities backed up with Crucial matches thrown in the mix. You do NOT require any high level gear to increase your character level which is purely based on XP progression. For this reason, concentrate on filling the XP meter on a regular basis for the beginning of your Destiny 2 adventure. 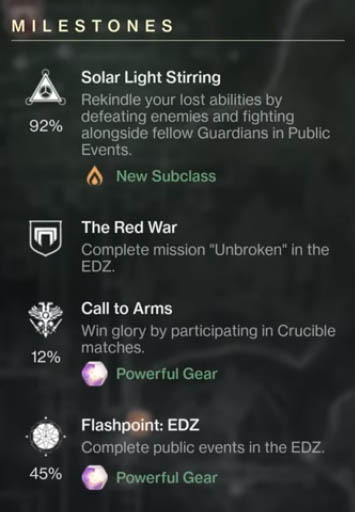 The Weekly Reset is a well known system that's been brought forward from the original game. Once a week, Bungie resets the games most rewarding activities, offering players another chance to earn even more rewards. The Weekly Reset is performed on a Tuesday, morning time if you're from the UK, or very early morning in US time zones. Players are usually notified that a reset is coming up and must login again to see the activities refresh in the Director. 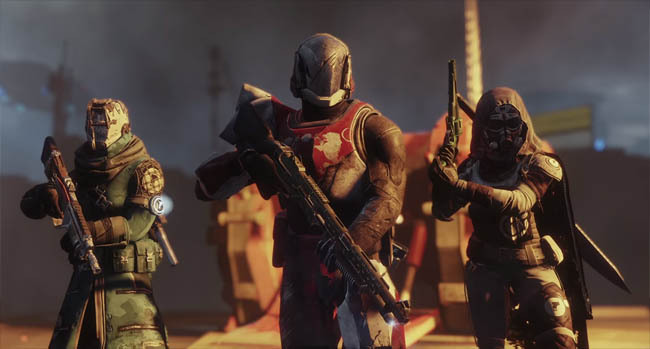 It's important to remember that once you earn rewards from a weekly activity they can't be earned again until the weekly reset the following week. Power Level represents the average Attack and Defense values on your equipped gear. It also determines how much damage your guardian deals and how much they suffer during attacks. The ONLY way to increase your Power Level is by acquiring more powerful weapons and armour. You CANNOT increase your Power Level through XP progression or other rewards. It's therefore important that you earn or buy more gear, on a progressive basis to notch up your Power Level, bit by bit. It's not recommended that you store engrams, as their Power Level is determined at the time they drop, rather than the moment you decrypt them. Therefore, visiting the Cryptarch regularly is an important process in Destiny 2. Bungie have decided to group weekly activities into something called Milestones in D2. These time sensitive activities refresh on a weekly basis and progression doesn't carry over to the following weeks. Milestones are (currently) your ONLY way to avoid getting stuck at Power Level 265. They are an essential part of edging closer to level 300 and being raid ready. Check the rewards box underneath Milestones in the Director. The best Milestones will offer "Powerful Gear" rewards which are essential for end-game progression. Note: Besides the above list, there are also Daily Milestones, which are mini-challenges relating to a particular activity. They offer indirect rewards via redeemable tokens that can be exchange with vendors for something bigger. As the name suggests these refresh on a daily basis but are still referred to as Milestones. You cannot get high level gear from daily challenges. Why am I stuck at Power Level 265? 265 is the new forever 29 in Destiny 2. 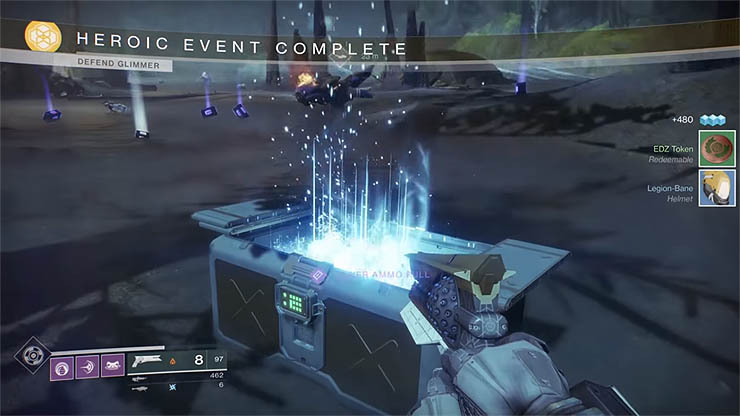 Regular rewards that drop from common activities such as Strikes, Public Events, Chests and any vendor purchases CANNOT push you beyond Level 265. Instead, rewards from these activities will only offer sidegrades but will not help to improve your level beyond 265. Unfortunately, if you have already completed the Milestones for the week and are still at Level 265 then you must wait for the weekly refresh to earn Milestone gear to push you beyond the 265 plateau. The only exception to this is possible Exotic gear and purchases from Xur. I expect that most of you will be keen to get to Power Level 300 as early as possible in Destiny 2, in the hope that you can enjoy the Raid at the same time as most other players. If you're reading this the first week that D2 launches then you have only two weeks to get this right! Weekly MILESTONES with Powerful Gear rewards or Exotic quests. Avoid completing any "Powerful Gear" Milestones until you reach Power Level approximately 265. Due to the progressive nature of rewards, you want your best drops to be at the highest level possible, and since only Milestones offer Power Level 265-300 rewards then you must save these up for the right moment. There is nothing wrong with completing part of a Milestone e.g. Crucible challenge or Public Events in a Flashpoint series, but make sure you avoid completing the entire Milestone. It's as simple as that - knowing where to play and timing it right. Update: Now that Destiny 2 is well underway, there are now additional activities that reward Powerful Gear. These include the Leviathan Raid (PvE), Trials of the Nine (PvP) and Clan rewards. Although both the Raid and Trials may be beyond your reach if you're still near the 265 mark, Clan's are still a great option. Simply joining a Clan allows you to collect a "free" Luminous Engram every week, so long as the Clan completes high level activities, whether you are directly involved or not.